The concrete cross dated 1933. 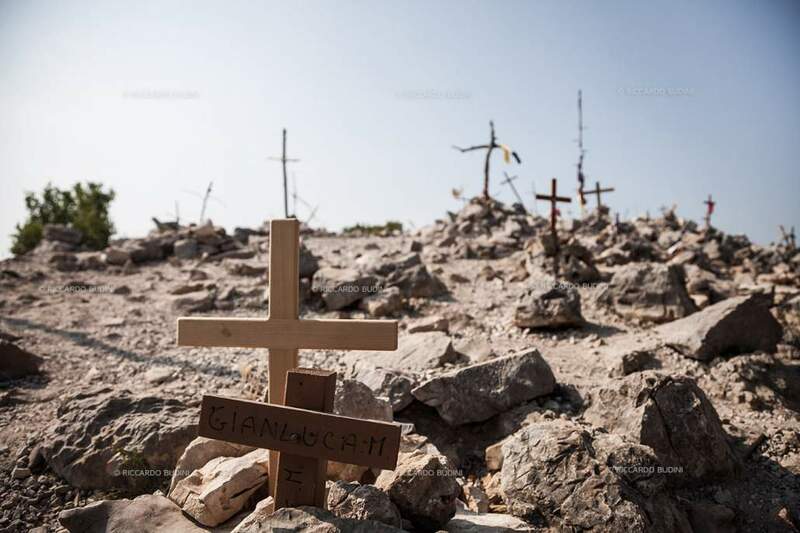 It marks the end of the Via Crucis on top of the Mt. Krizevac. The Blue Cross shrine at the foot of the Podbro (the hill of the apparitions). Bijakovici, Medjugorje, Bosnia and Herzegovina. 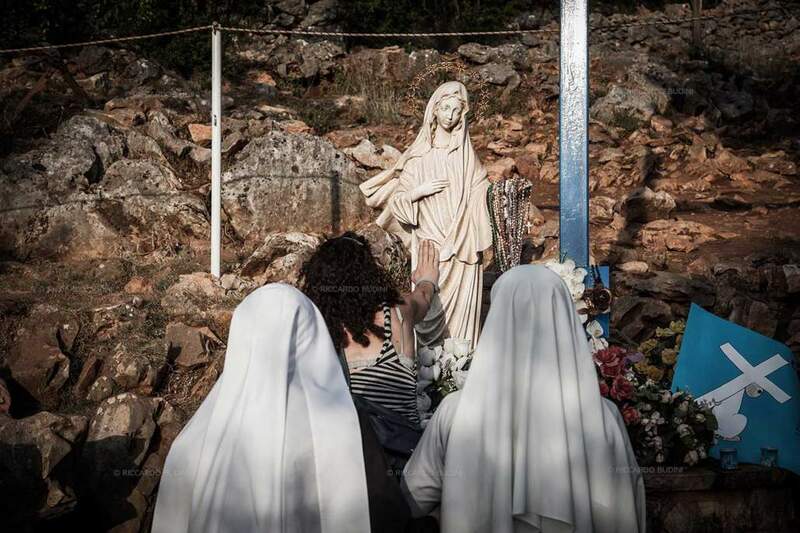 Faithful praying around the statue of the Virgin Mary, named locally as the ‘Gospa’ on the top of the Podbro, the hill of the apparitions. 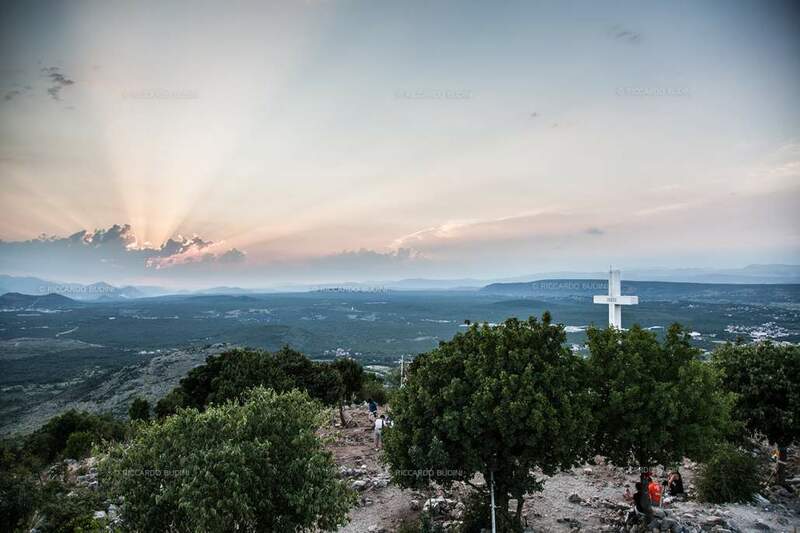 Medjugorje, Bosnia and Herzegovina. 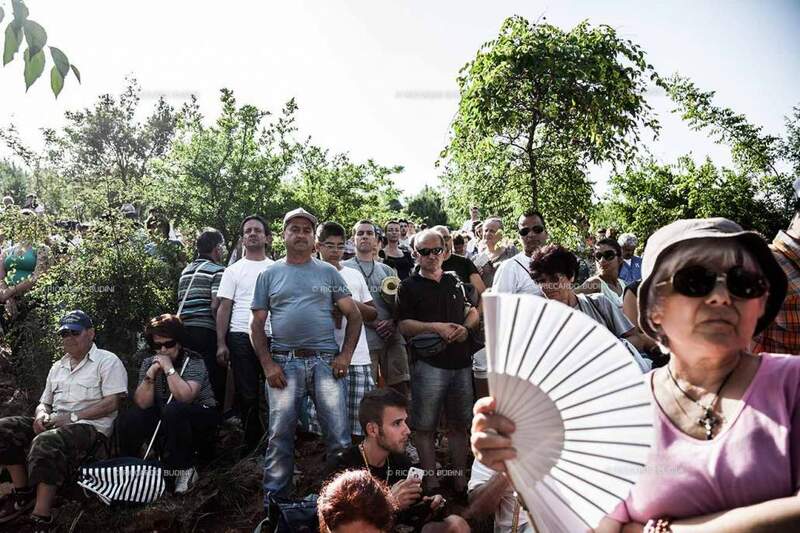 People portrayed moments immediately after the claimed Marian apparition to the visionary Mirjana Dragicevic of July 2 at the Blue Cross, Podbro hill. 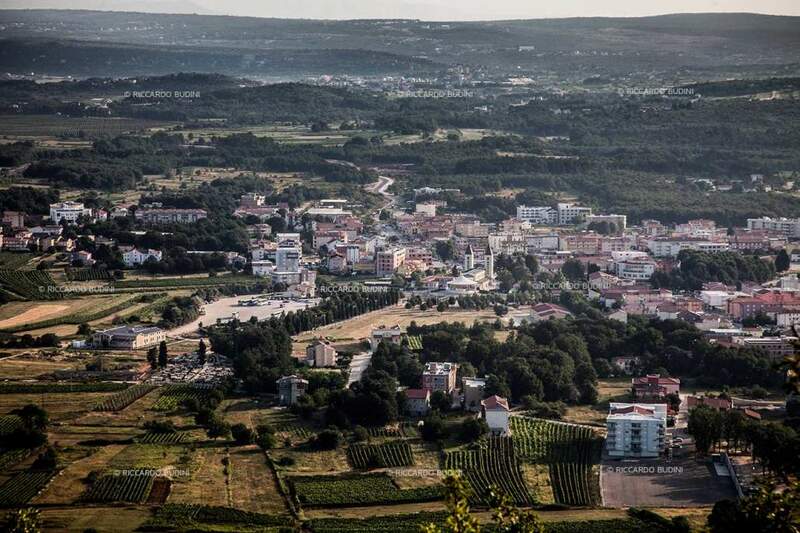 Medjugorje, Bosnia and Herzegovina. 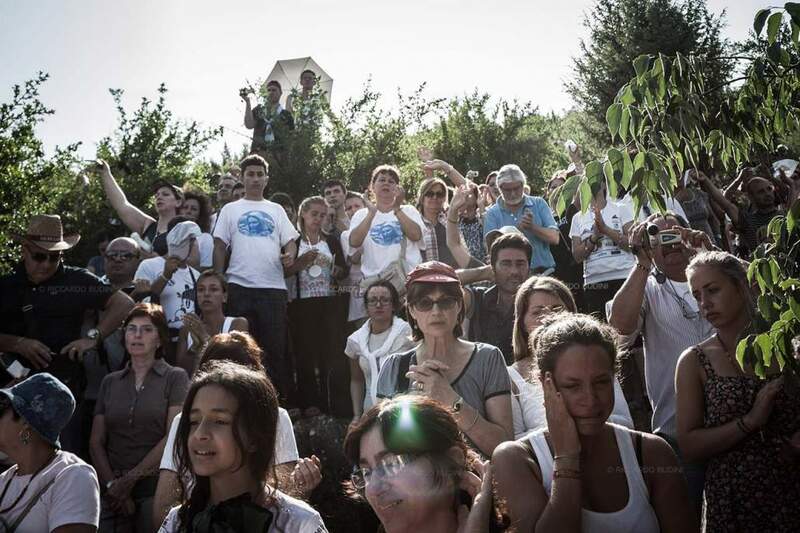 People portrayed moments immediately after the claimed Marian apparition to the visionary Mirjana Dragicevic of July 2 at the Blue Cross, Podbro hill. 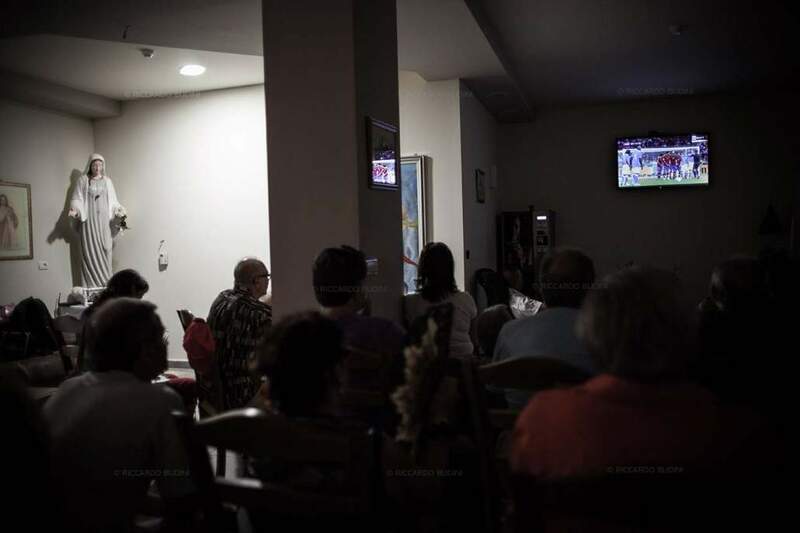 Pilgrims watching the final soccer match of Euro 2012 in the house of the visionary Mirjana Dragicevic. 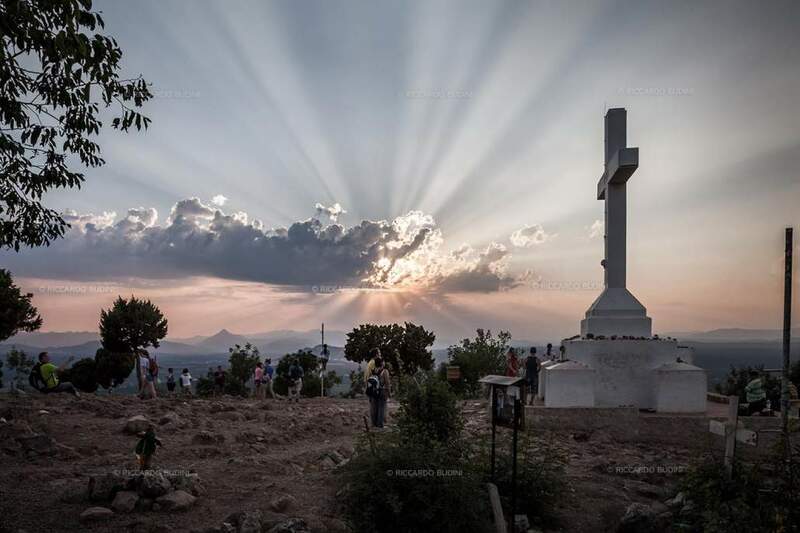 Bijakovici, Medjugorje, Bosnia and Herzegovina. 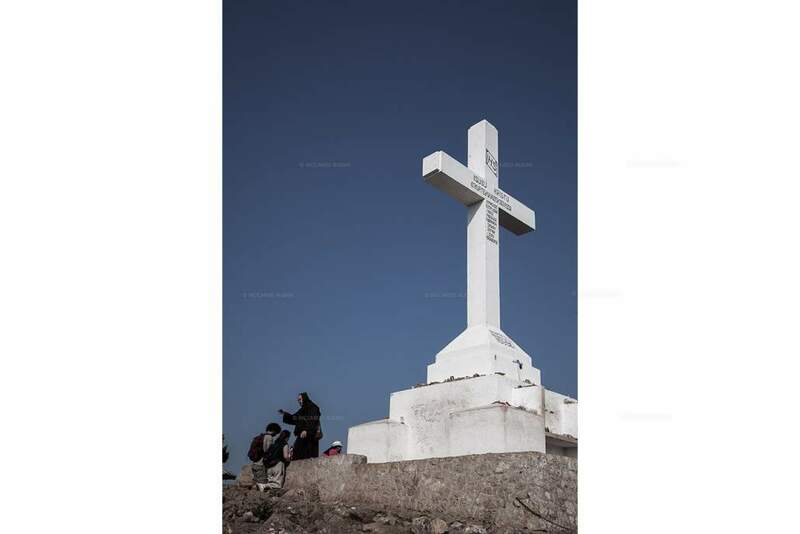 Pilgrims absorbed in prayer at the cross on top of the Mt. Krizevac. 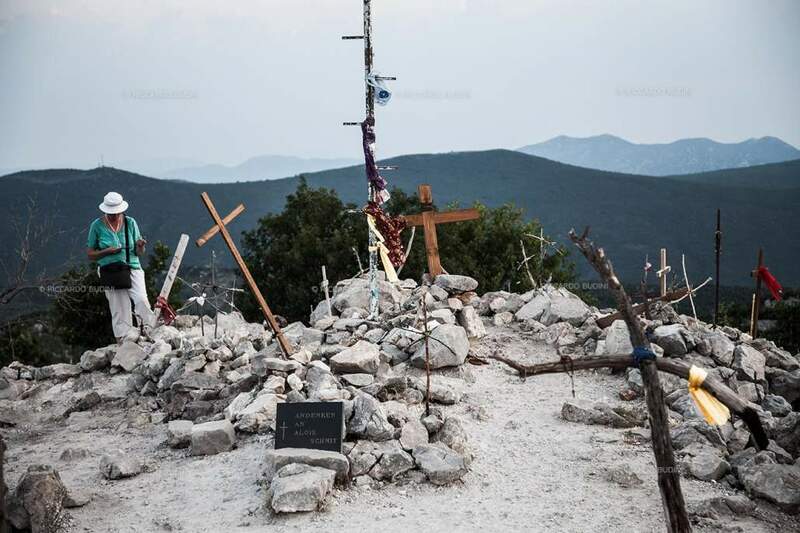 Some pilgrims use to place a cross on top of the Mt. 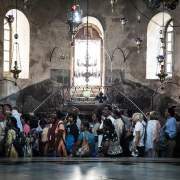 Krizevac to consecrate their passed loved ones to the Virgin Mary. 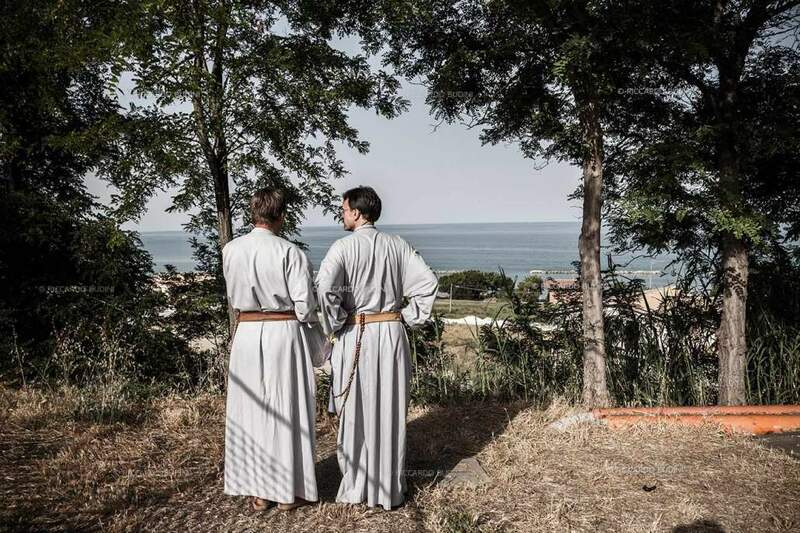 A friar blesses two pilgrims near the concrete cross on top of the Mt. Krizevac. 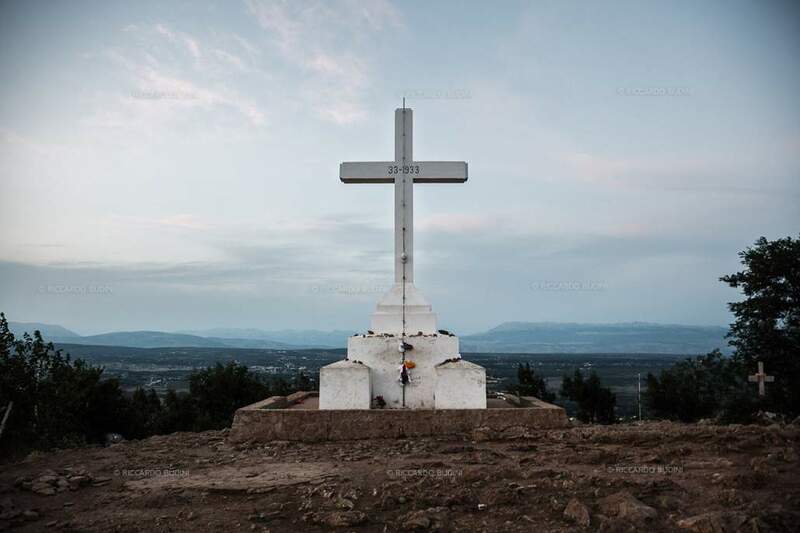 Some pilgrims used to place a cross on top of the Mt. Krizevac to consecrate their passed loved ones to the Virgin Mary. 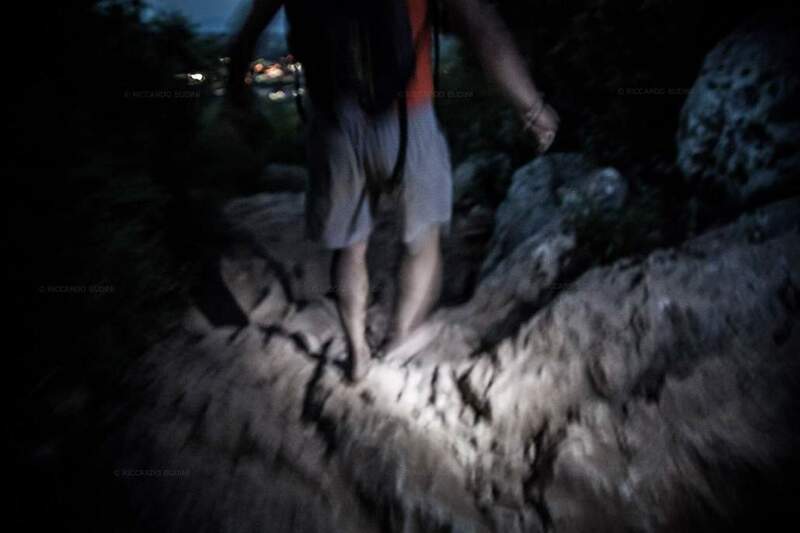 A pilgrim descends barefoot the Mt. Krizevac at night. 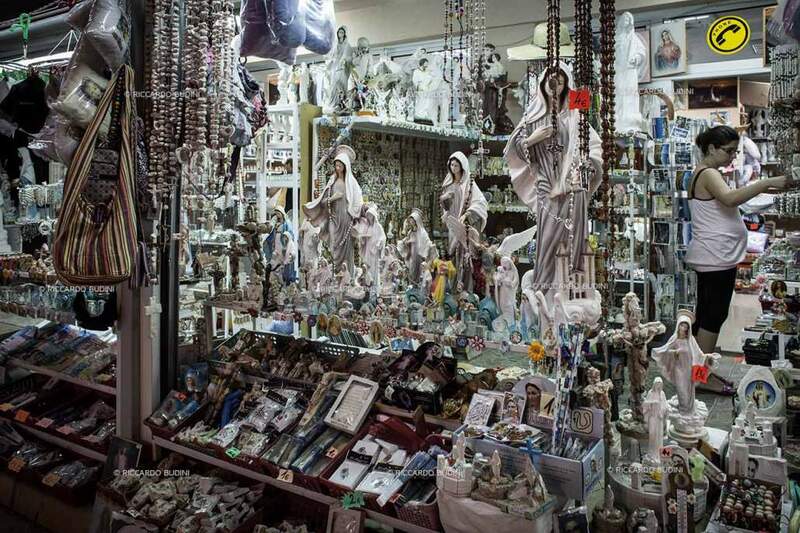 A souvenir and rosaries vendor stall. 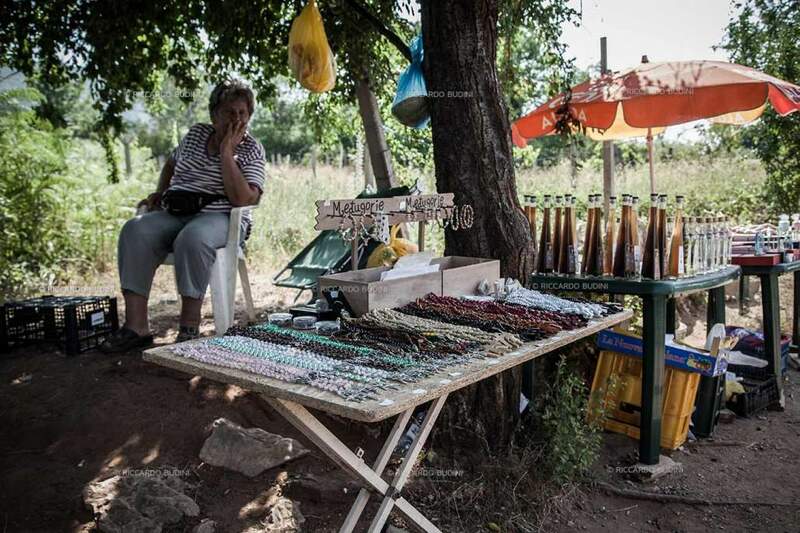 Many vendors on the pathway between Bijakovici and Medjugorje are of Muslim faith. 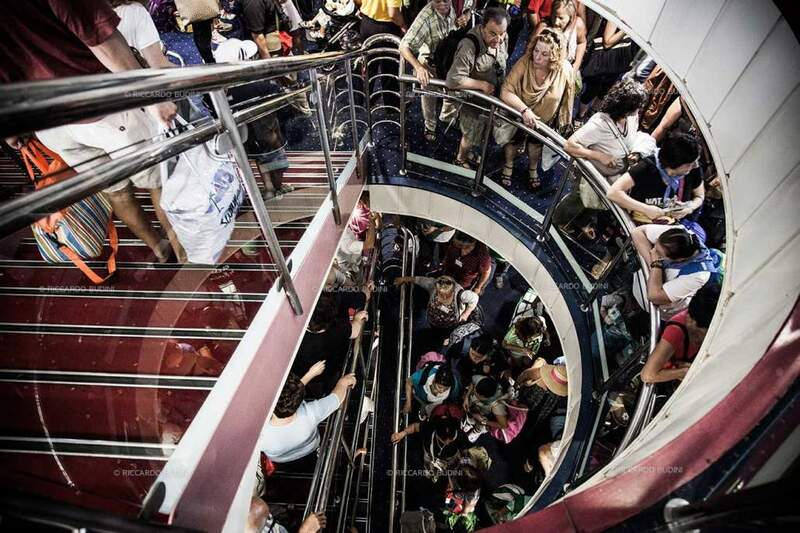 Souvenir shops stay open during the all-night prayer vigil before the apparition of 02 July. 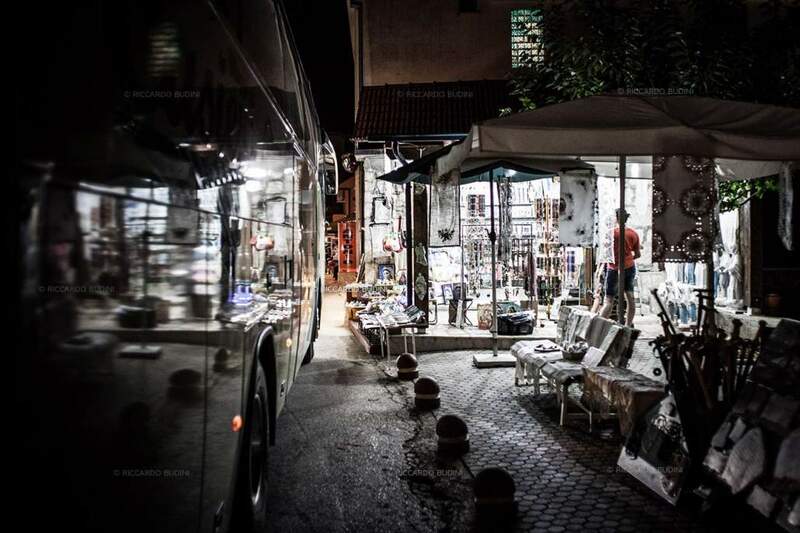 Souvenir shops and coming and going of pilgrims coaches characterize the narrows streets of the Medjugojan area. 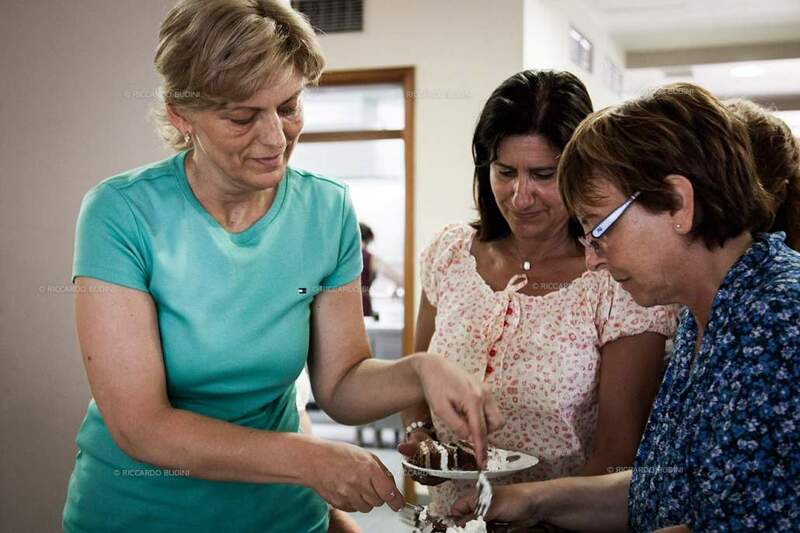 Mirjana Dragićević, one the six Medjugorje’s visonaries, used to serve pilgrims at her own house. 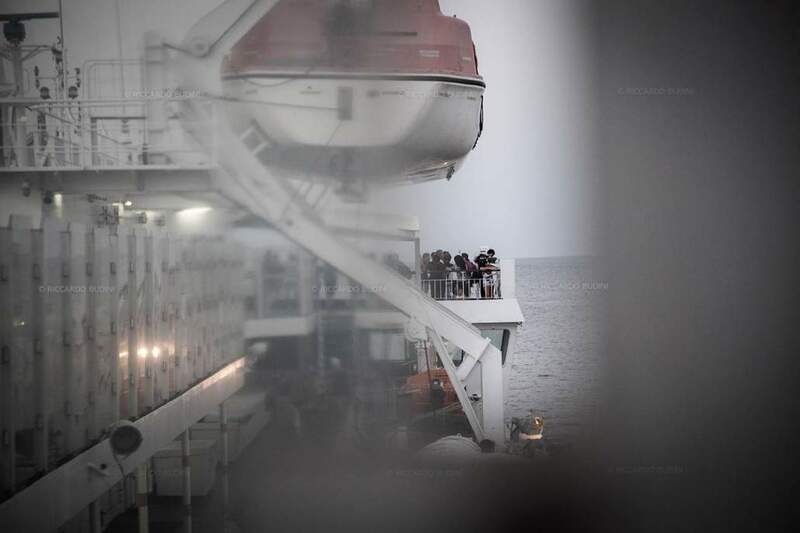 Pilgrims on a ferry boat on their way to Medjugorje from Ancona, Italy. 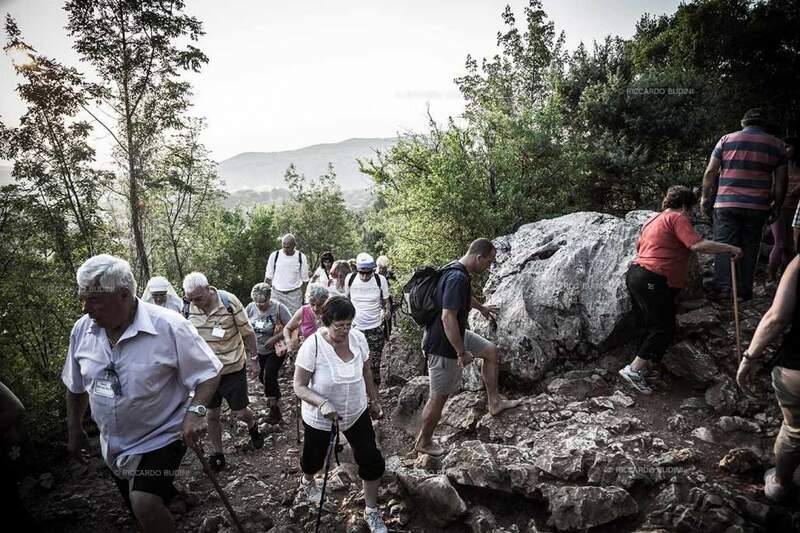 Since 1981 Medjugorje has attracted some 30 milions pilgrims from all over the world due to reports of apparitions of the Virgin Mary to six local Catholics, commonly known as the visionaries. 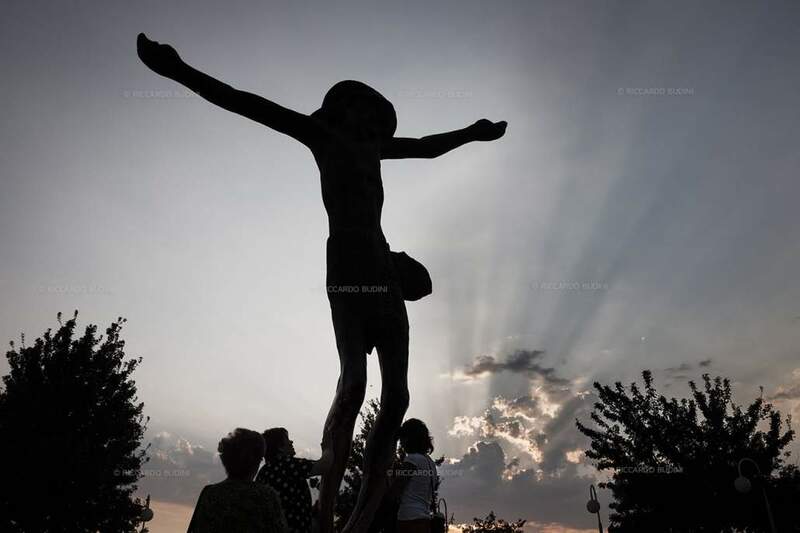 In time the Medjugorje’s events have been both celebrated as the most prodigious or criticized as one of the greatest hoaxes of the century. 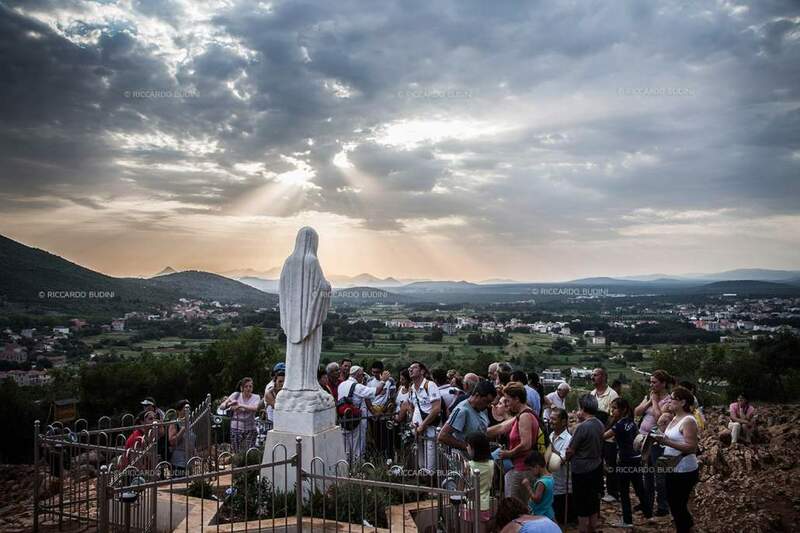 Medjugorje still remains a place of a great strenght of mystical aggregation.